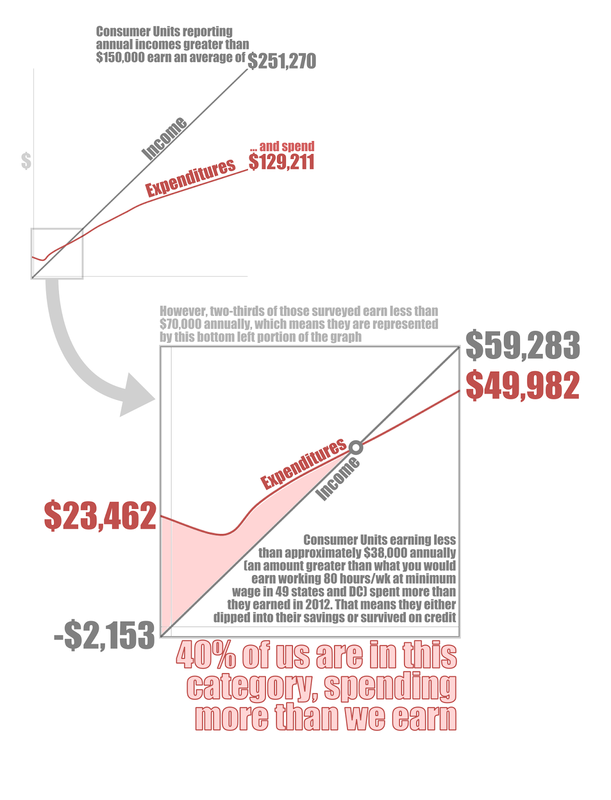 When you change the denominator in the first graph from Total Expenditures to Annual Income, a more accurate depiction of our spending habits is revealed. 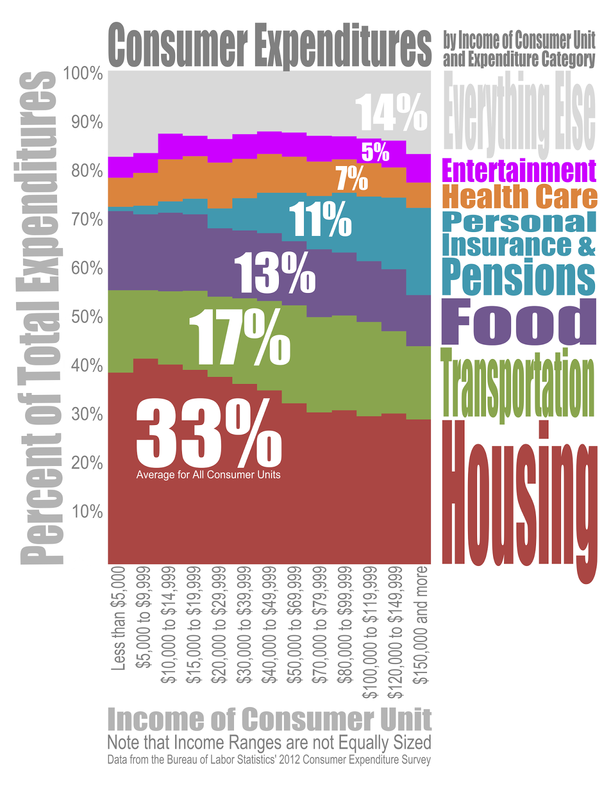 Consumers earning between $5,000 and $30,000 per year spend 62% of their income on Housing, 24% on Transportation and 23% on Food. That's 109% of their income gone just on these three basic necessities. 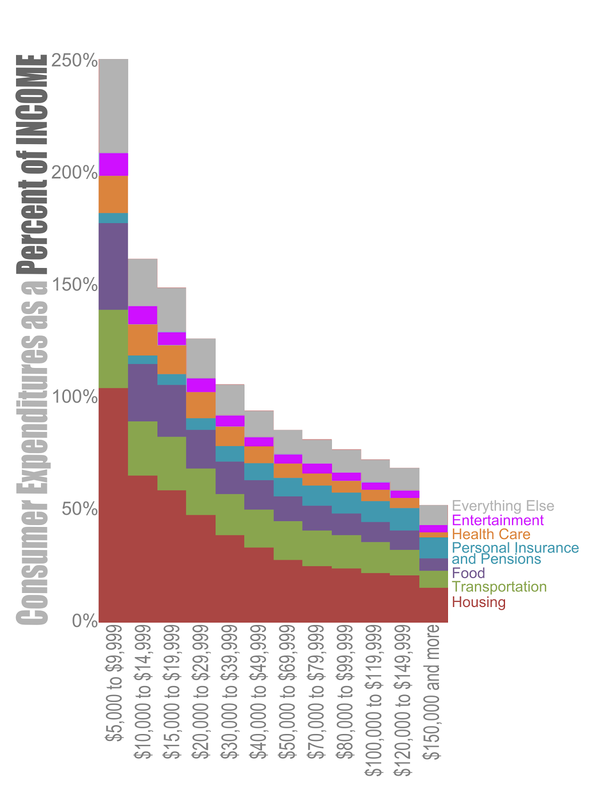 This modified version of the first graphic presented gives a fuller representation of household finances at different income levels in the US and paints a pretty bleak picture for low income families and individuals. An important question came up in response to the post above: Do the income figures include government assistance programs? The answer is mostly yes. 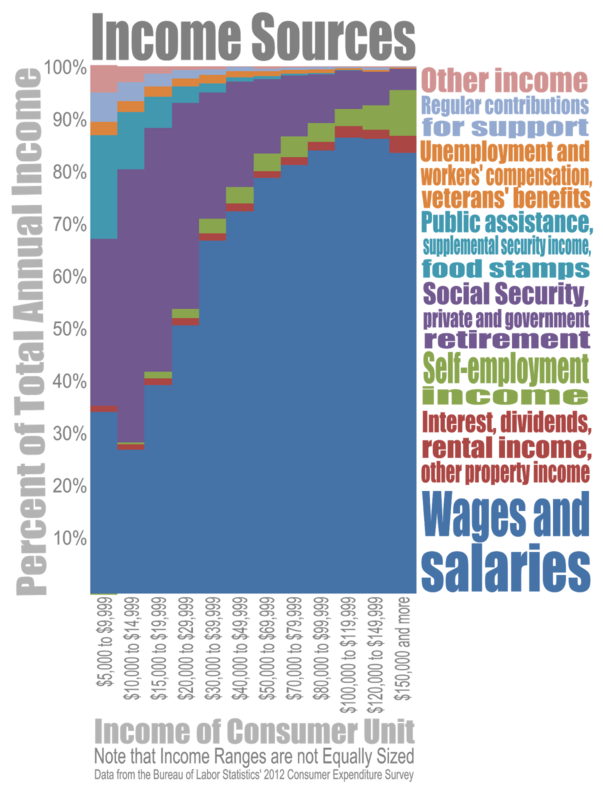 The chart above shows the percentage of total income by source for consumer units at different income levels. Income includes benefits from programs such as Social Security, the Supplemental Nutrition Assistance Program, and Unemployment Insurance. It excludes benefits that are paid directly to a service provider, such as Medicaid or Housing Choice Vouchers, but those amounts are also excluded on the expenditures. The major source of income that is not accounted for here, or in yesterday's graphs, is refundable income tax credits. That mechanism helps close the gap between after tax income and expenditures slightly for lower income households, but there is still, on average, a significant shortfall that must come from a nongovernmental source.